Dr. Harijot Singh Khalsa was an amazing human being. 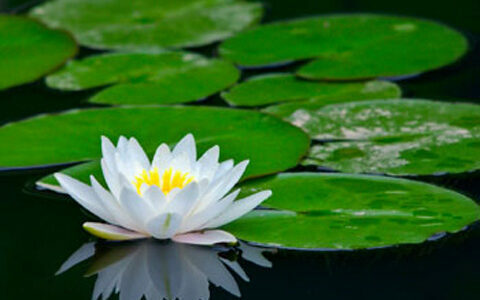 He was a master healer, acupuncturist, yogi, and innovator in the field of healing and human consciousness. In his more than 60 years of service, he touched the lives of many people in the 3HO/Sikh community and beyond. His candor and sardonic sense of humor and candor had a way of cutting through all pretentiousness and making everyone he met feel at ease. In the summer of 1995, the Siri Singh Sahib gave me a hukam to start coming to the Dome every morning. That is where I met Dr. Harijot Singh and began to learn from him. Dr. Harijot Singh and his wife Seva Kaur had been coming to see the Siri Singh Sahib every morning at his Ranch in Espanola since 1985. This was the start of an incredible journey of healing learning and friendship that lasted over 20 years for me. Harijot Singh was born Sidney Zerinski in 1934. As a young man in the early 1950s, he opened a health food store in New Jersey. In 1957 he studied Naturopathy and got his ND degree. Later, he coached a boy’s basketball team in Chinatown. The father of one of the boys on his team was a master of Chinese Medicine. Because the man did not speak any English, Harijot Singh learned Cantonese and began studying Chinese medicine with him. His teacher was a master of Shen acupuncture, a method of treating the mind, body, spirit, and emotions. It was this style of acupuncture that Dr. Harijot went on to master and share with his clients. In 1978, he met Seva Kaur who was training as a therapist at the Institute. They were married in 1980 and eventually moved to upstate New York. They opened a small healing clinic there but continued to commute to New York. In 1981, Seva Kaur introduced him to the Siri Singh Sahib. In 1985, the Siri Singh Sahib invited them to move to Espanola. There they began seeing and treating the Siri Singh Sahib every evening. But because they had two young children they started to come in the morning. Seeing the Siri Singh Sahib every morning with Dr. Harijot Singh and Seva Kaur was a truly remarkable experience. We would check his pulse every morning and sometimes treat him with acupuncture. There were many discussions between Dr. Harijot Singh and his teacher about different herbs and formulas. The Siri Singh Sahib was always searching for new healing modalities for himself and others. 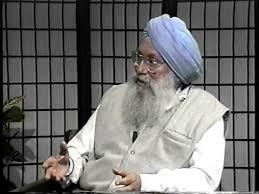 He would also consult with Seva Kaur, who is a Master Homeopath, about specific homeopathic remedies. Many times the Siri Singh Sahib would ask us to give healing treatments to his guests. Dr. Harijot Singh’s kindness and compassion were always inspiring. He put everyone at ease and it was a joy to witness a true master of his craft at work. Dr. Harijot Singh spent his life in service and compassion for his fellow humans. He was my friend, my teacher, a true mentor and a brother. His presence in this world will be sorely missed. Akal, Akal, Akal. Dr. Harijot Singh, may your soul rest in its eternal abode. Sat Nam. 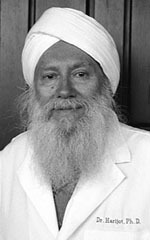 SS Dr. Harijot Singh Khalsa was an ordained Sikh Dharma Minister. Dr. Khalsa was at the forefront of the wellness movement for over 60 years, taking part in the beginnings of the Physical Therapy profession in the US, as well as spearheading the development of high-quality massage education. Starting his decade-long studies in the early 1960s as a student of Chinese Medicine, he was one of the first Westerners to train with Chinese healers in the Orient. He authored over 10 books and numerous articles in the field of natural health and healing, including the popular Swedish Massage Work Book, and taught at a wide range of schools including universities throughout the United States. He was a student of the Siri Singh Sahib and had a healing practice in Santa Fe, New Mexico.